When it comes to selling your West Knoxville or Farragut home, it can be difficult to decide what remodeling projects you want to take on before putting your home on the market. After all, there are no guarantees that every dollar that you put in will come back to you when you do sell your home. While there are no guarantees, here are five smart home remodeling tips for selling you Farragut or West Knoxville home this spring. Don’t try to be the best home on the block. When it comes to making upgrades to you home, don’t try to outdo you neighbors. Home prices are greatly influenced by the homes around them. The general rule of thumb is to do what you neighbors are doing. If your neighbors are using high end materials, then skimping on materials could hurt you home price. The opposite is also true, using high end upgrades in a lower priced neighborhood won’t significantly help increase the price of you home. Do the job right. 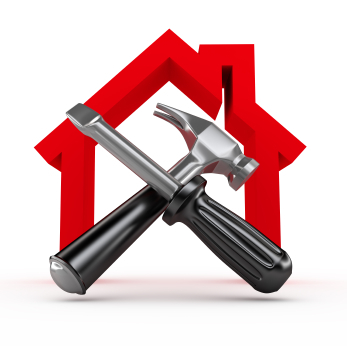 No buyer wants to buy a home with faulty workmanship. Some are handy while some aren’t, do the job right the first time and buyers will be sure to notice. Think timeless. While trendy upgrades can be great at the time, trends fade. Buyers are much more likely to be attracted to upgrades that are going to last, instead of something that was trendy 4 years ago and now looks out of style. Utilize the space you have. If you’re looking to increase your homes square footage, it can be much easier (and cost efficient) to utilize the current space that you have. Finish off that extra storage space you have and turn it more usable space, instead of adding on an addition to your home. Make sure your upgrades add to the home. Turning an extra bedroom into a bathroom or walk in closet may suit your lifestyle, but it also takes away a selling point from your home. Just be sure any additions you make to your home don’t take away from the selling power of what you home already has. Are you thinking about putting your West Knoxville or Farragut home on the market? If so, please let us know if there is anyway the Knoxville Home Team can assist you, we would love to assist you in selling your West Knoxville home as quickly and painlessly as possible. You can contact Rick at 865-696-9002 or by email at Rick@TheBigOrangePress.Com. Kati can be reached at 865-696-1888 or by email at Kati@TheBigOrangePress.Com.